Some people just don’t give up. That was the case for Marilyn Jean Hartmann, who is known around San Francisco for her repeated attempts to sneak onto flights. She finally succeeded — by trying the same stunt in San Jose. 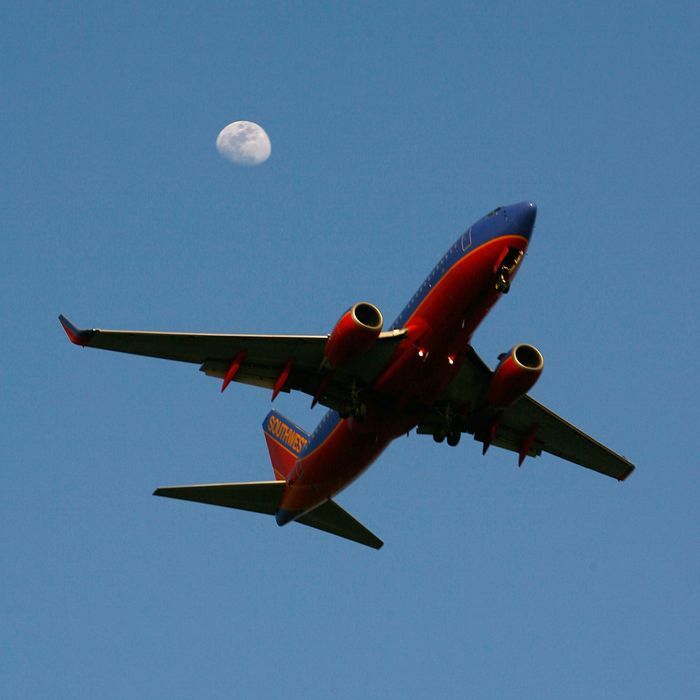 The 62-year-old boarded Los Angeles–bound Southwest Airlines Flight 3785 sans boarding pass, and even managed to sneak past a document checker in the airport (eventually). This time, she even managed to get all the way to her destination. Hartmann was only busted by flight attendants when they realized an extra person was onboard upon landing. We’ve got to wonder whether she got this idea from the 15-year-old stowaway who successfully survived subzero temperatures en route to Hawaii, and also flew out of Mineta San Jose. Someone there’s got some ’splaining to do. Hartmann is so well known in the Bay Area that the local district attorney from San Mateo county even weighed in on her motivations this April. Steve Wagstaffe told SF Weekly that “there was no evidence of mental illness” when detectives interviewed her. “She’s not delusional, she’s not confrontational, this is not a woman who says ‘I know what the law is but I’m going to gonna violate it anyway.’ There’s no anger expressed. It causes me to have concern about why she keeps coming back,” he said. Of course, Hartmann is far from the only character to grace American Airlines. Howard Nutt, a middle-aged, straight-married businessman who’s popularly known as “Terminal,” has accrued quite the internet following documenting his frequent flights. Nutt prefers to dress in ladies’ undergarments for long flights and became the subject of internet controversy when it came out that he frequently flew bare-midriffed without hassle, while a college kid was arrested for failing to pull up his sagging pants on the same airline. The lesson? We should fly more often.